This bilingual resource offers music, prayers, and reflections for the cherished Mexican and Latin American Las Posadas tradition, celebrated every year in the days leading up to Christmas. Advent is not only a time to celebrate and share special moments with family, friends, and neighbors, it is the time of the year to reflect and prepare to celebrate the first coming of Christ, the Incarnation, but also the awaited second coming in history. 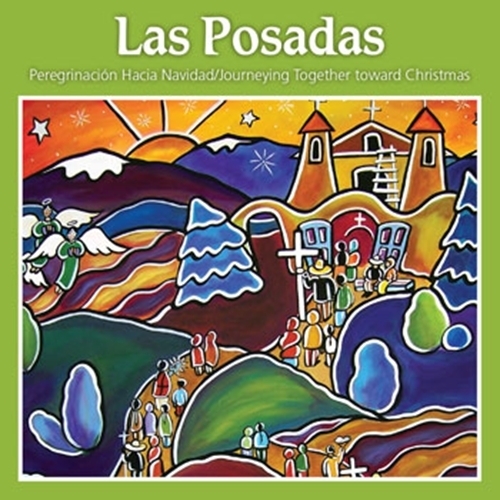 This one-of-a-kind bilingual resource for Las Posadas is a collection of Advent, Marian and Christmas songs accompanied with prayers and reflections in English and Spanish. Las Posadas is a cherished Advent tradition that has been celebrated among families in Mexico and other Latin American countries for hundreds of years. During this novena (nine days of preparing our hearts to welcome Jesus into the world), the community gathers every night— from December 16 to December 24. This unique resource includes 15 total songs, several for Advent and Christmas and some in honor of our Blessed Mother. With the traditional song “Las Posadas,” communities commemorate Mary and Joseph's journey from Nazareth to Bethlehem, searching for a place where the Christ Child could be born. A new bilingual version of “Las Posadas” allows English speakers the opportunity to join in the reenactment of this journey. In fact, almost half the songs are presented bilingually so that English and Spanish speakers can be united both in and outside the parish. As the only Las Posadas resource with English and Spanish side by side, the assembly book makes it easy to read, reflect and sing together during this special time. Along with the songs, reading citations and prayers for the novena, the assembly book includes reflections from Dr. Hosffman Ospino that touch on the obstacles we face in our pilgrimages today, preparing our hearts during Advent and living out this spirit throughout the year. 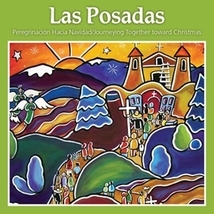 A truly complete bilingual resource, Las Posadas: Journeying Together towards Christmas will simplify planning a posada and allow participants to embrace this holy time as an opportunity to not only celebrate and sing with family, friends, and neighbors but also to educate and reflect. Its Scripture citations, reflections, prayers, petitions, and songs will renew the Christian sentiments connected to this season while capturing the spirit of family, culture, and tradition and enhancing a true sense of community.